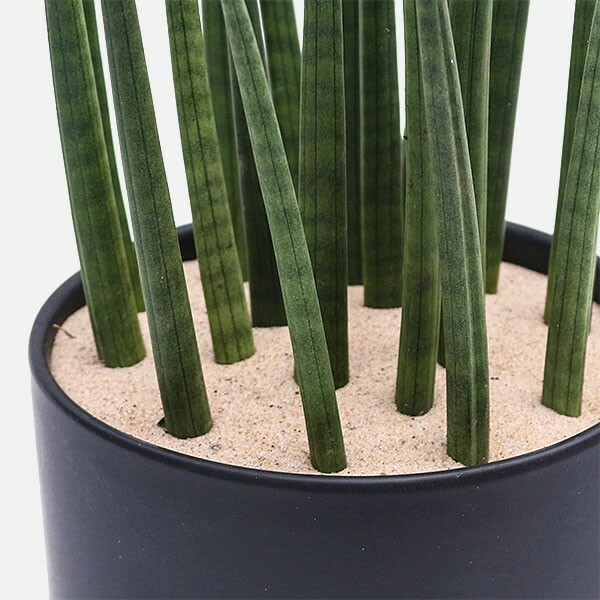 There's something intriguing about this sansevieria cylindrica, isn't there? There's something intriguing about this sansevieria cylindrica, isn't there? Commonly called African Spears, here they are planted in desert sand in a jet-black cylinder. Easy to maintain with low light and little water, place this arrangement anywhere you'd like to have a conversation piece! Plantshed delivers succulents in NYC, 7 days a week.